While learning how to swim is an important skill, especially for young children, it can often prove to be more difficult for some individuals. Fear can delay or altogether prevent children from learning this life-saving skill, in addition to causing further stress and anxiety if not handled properly. 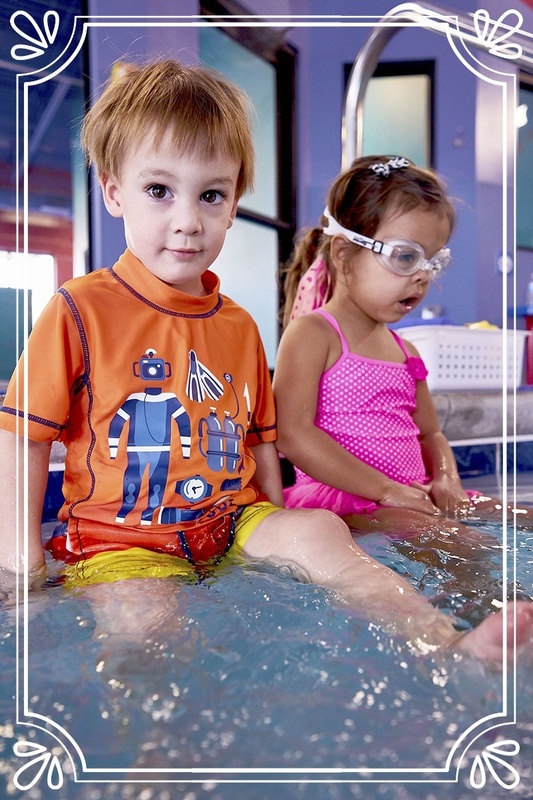 At Swimtastic, we understand how fragile the experience of learning to swim can be to some children. Acknowledging that each child is an individual with different emotional needs, we cater each lesson to helping every student advance and overcome their fears at their own pace. Having a good understanding of what can cause fear of water helps our instructors connect with children (or adults, too! ), and proceed through lessons appropriately and safely. Bad childhood experiences are one of the largest culprits of fear of the water. It could be a friend or sibling that pushed them underwater when they weren’t prepared, a near-drowning experience, or even inadequate or stressful swim teaching methods. 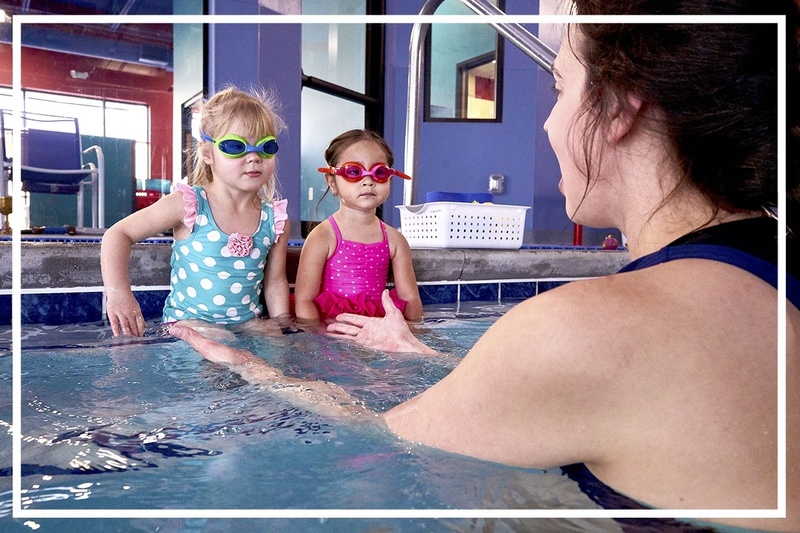 At Swimtastic, our swim instructors are trained to acknowledge this type of fear in children and cater each lesson to include steps that will help get them to feel safe again near the water. While each child is different, it is suggested that most children who are not enrolled in swim lessons begin to develop an instinctive fear of drowning after the age of 6 months. 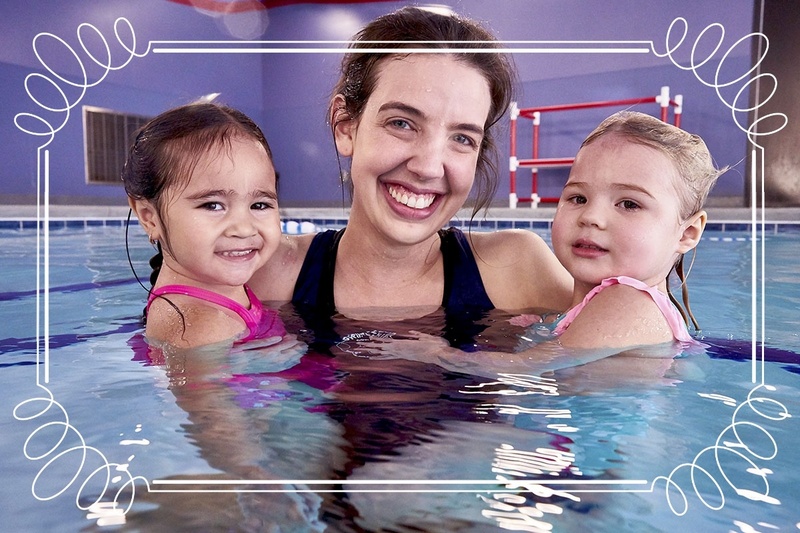 That is why Swimtastic swim lessons are offered to those 6 months of age and older, helping to prevent the natural fear of drowning from growing too strong and becoming overwhelming as an infant grows older. Children have amazing imaginations, and can conjure all sorts of wild ideas regarding what might be lurking below the surface! We’ve heard it all, from sea monsters to the boogie man himself. If your child is experiencing fear of water for any of these reasons or others, there are some simple steps you can take to begin getting them more comfortable near and in the water. Simply being near the water can be scary for some kids, so taking small steps is important. Sitting on the edge of the pool and dangling their feet in it can help them get used to the feel of the water flowing over their skin. Using warm water pools is very helpful with this and other first steps to overcoming their fear, as it is naturally soothing and can feel similar to bath water. At Swimtastic, we heat our pools to a comfortable 90 degrees to help students feel at ease, which also helps them stay focused on lessons. Once your child is comfortable sitting on shallow steps in the water, have some fun and get them to blow bubbles with their mouth just at the water’s surface. This step is fun for kids, all while helping them to feel more relaxed with their mouth and chin being below the surface of the water. After your child becomes comfortable in shallow depths and is able to blow bubbles just below the water’s surface, start to have them practice holding their breath and submerging their head completely. Does your child wear goggles? Wearing goggles allows your child to be able to see everything below the water’s surface. This makes going under more exciting and helps ease those fears of the unknown. Most importantly…Go slow! Don’t rush and always remain patient. By taking the time to ease your child’s transition back into the water, you will see their fear begin to disappear, being replaced with a love for the water. 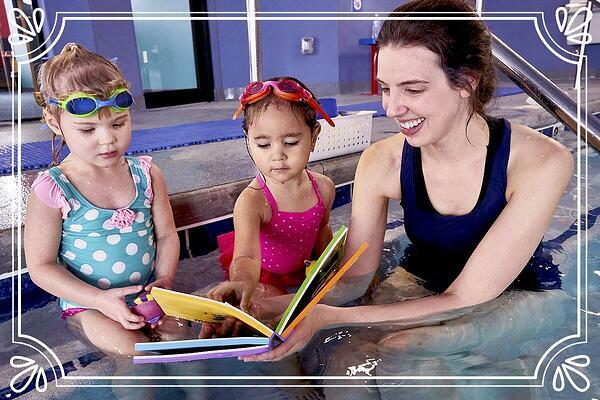 If you have questions or concerns about proper steps to take with your child, give us a call or visit any Swimtastic location near you for support. © Copyright 2007-2019 Swimtastic Swim School, a Streamline Brands Company. All Rights Reserved.